B.C.’s voting system will not change, Elections BC announced Thursday. In the electoral reform referendum 61.3 per cent of voters voted to stay with B.C.’s current first-past-the-post electoral system, while 38.7 per cent of voters backed proportional representation. A total of 1,403,358 votes were received, representing 42.6 per cent of registered voters, Elections BC said. Some 61.3 per cent of voters opt for current electoral system. 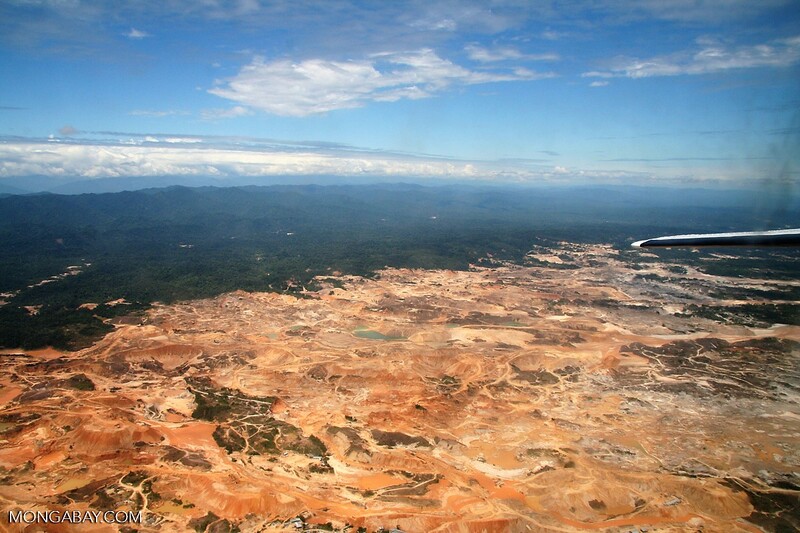 A new study produced jointly by six Amazonian countries calls illegal mining in protected areas and indigenous territories of the Amazon rainforest “epidemic” due to its rapid expansion across the basin and lack of government planning to contain it. The report features an interactive map, produced from satellite imagery and a suite of experts and published materials, showing more than 2,300 mining sites and 30 rivers destroyed or contaminated by illegal mining activities. Instead, Democrats are sticking to their original plan, and channeled Exxon Mobil in an announcement refusing to bar members who take fossil fuel money. Mounties are marking a historic moment today in their fight to unionize for the first time in the institution’s 145-year history. RCMP members have until noon today to vote on whether they want the National Police Federation to represent them, but it could be months yet before they learn the results. The operator of a guide outfitting company has filed a proposed class-action lawsuit against the British Columbia government over the ban on grizzly bear hunting. Earlier this week, Washington, D.C.’s city council voted unanimously to pass landmark legislation — the impressively aggressive Clean Energy D.C. Omnibus Act of 2018 — that would see the nation’s capital run on 100 percent renewable energy by 2032. Doug Ford and the Progressive Conservative Party of Ontario have been in power for almost six months now. We knew that Ford’s agenda for Ontario would be a dangerous step backwards, that he would undo many of the progressive policies we’ve fought hard for over many years, but even we are stunned by how aggressive and undemocratic the Progressive Conservatives have been so far—and it looks like they are just getting started. A second checkpoint has been put up on a remote B.C. forestry road to block construction of the Coastal GasLink pipeline, days after a court ordered that the first one must stop preventing the company from accessing the road and a bridge. An interim injunction order from a B.C. court last Friday ordered the individuals at the Unist’ot’en camp, a self-described re-occupation of Wet’suwet’en land, to stop impeding Coastal GasLink from gaining access to the logging road and bridge it argues is on a critical path it needs to access as part of pipeline construction. Minister of the Environment Catherine McKenna introduced three updates to Canada’s climate plan on Thursday that includes new regulations for vehicle emissions standards, pricing for heavy corporate polluters, and clean energy incentives for small businesses, not-for-profits, and indigenous communities.